Delight new parents with this thoughtful baby gift (and treasured keepsake). 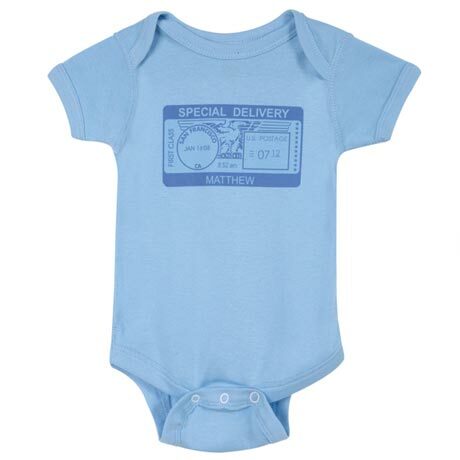 100% cotton one-piece bodysuit is available in infant sizes 6 mos., 12 mos., 18 mos., and 24 mos. 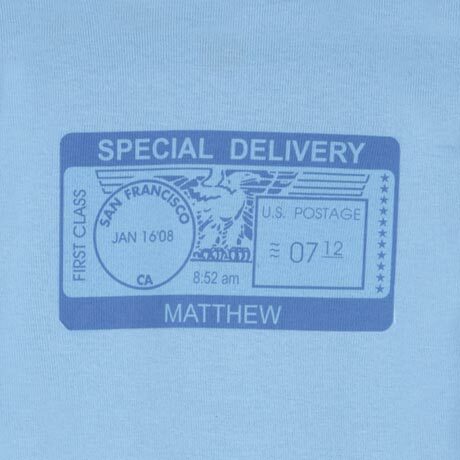 Please specify baby's first name (up to 20 characters), weight, date of birth, city, state, and time of birth. Allow 2-3 weeks. No rush delivery or gift box. Imported. Item can only be shipped within the Continental US.